Datalogic PowerScan PBT9500-DPM - USB Kit. 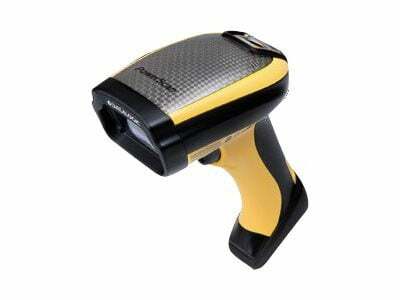 2D DPM Imager, Direct Part Marking Optics, Removable Battery. Includes USB cable. The PowerScan PBT9530-DPM imager includes the latest optics and software from Datalogic to make the reading of codes marked with DPM technology easy and intuitive. The typical reading distance is from contact to 4-5 cm/1.5-1.9 in, depending on the DPM technology used, the code resolution, and the material and surface type. The scanner is also capable of reading standard barcodes printed on labels. It is based on a high density optic which allows the capture of very small, high-resolution codes in a range from near contact up to 15.0 cm/5.9 in. The Datalogic PBT9500-DPMRBK10US is also known as Data Logic	DTL-PBT9500DPMRBK102	or PBT9500DPMRBK10US	.